Visitors can admire, all along the circuit, original plantations such as the Sanseveria Cylindrica and also smell divine fragrances distilled by jasmines, gardenias and other fragrant plants. The garden has been designed so that flowering is present throughout the year and in a shimmer of colours, even in winter. 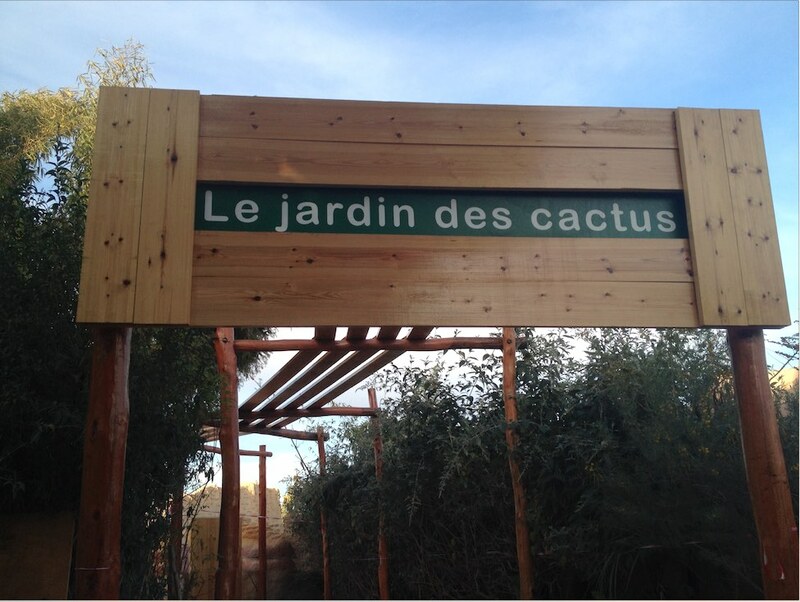 Currently, the collection has more than 300 species and varieties of plants, the aim being to create a microclimate that will be progressively furthered in scope. 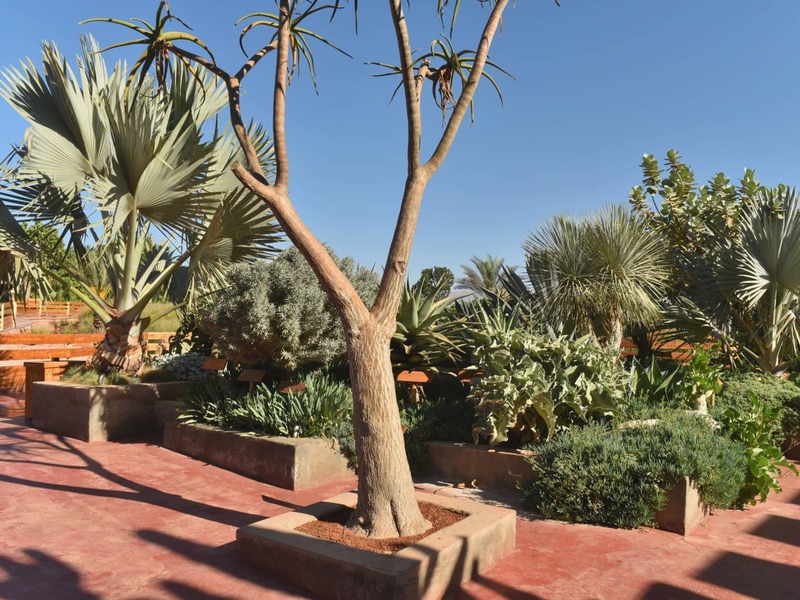 The blue garden consists mainly of blue succulent plants with rare species such as Aloe suzannae; which are endangered in their natural habitat. 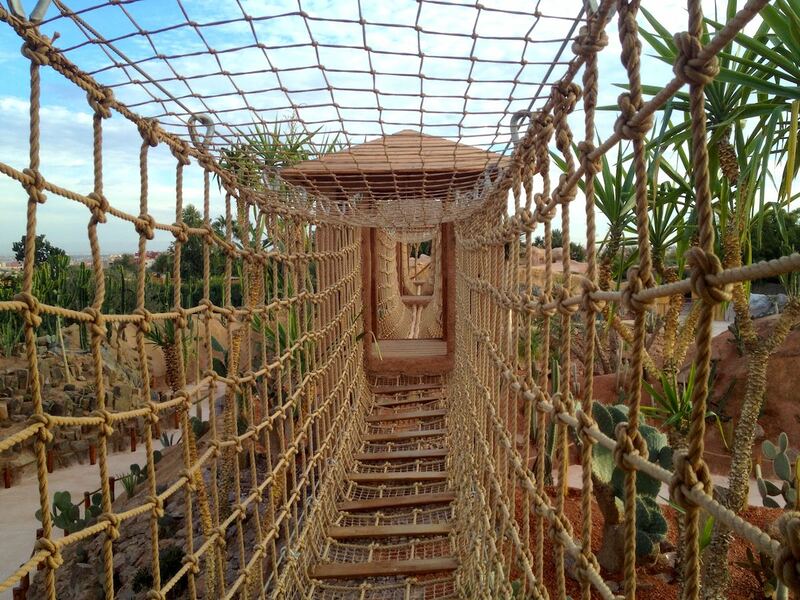 The exotic site invites the public to enjoy original hard masonry furniture amidst splendid ficus (collectively: fig trees) with their spectacular aerial roots, many of which are over fifty years old . 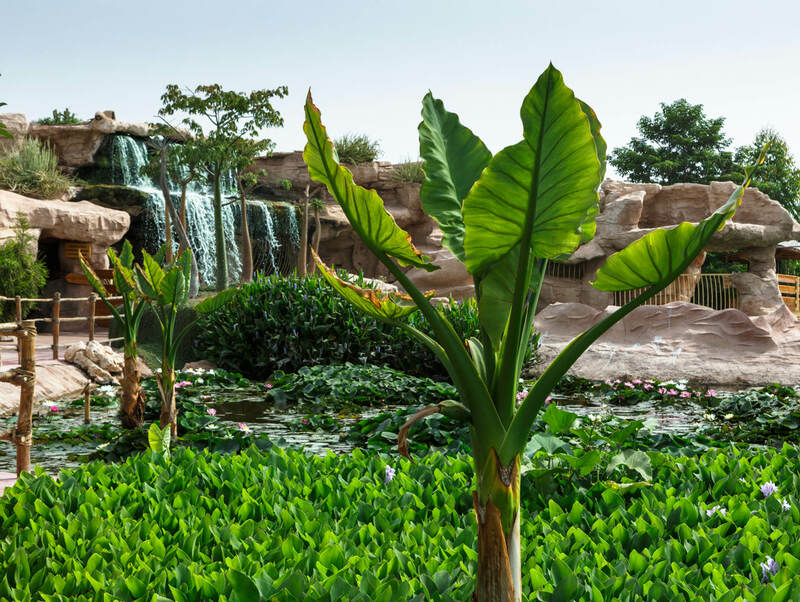 The aquatic garden has a wonderful collection of water lilies, including the famous Victoria (Victoria Cruziana) and the crossing of the “forest” of the Nile Papyrus (Cyperus papyrus), which elicits great sensations. The tropical area hosts, amongst other species, two magnificent Bellombra with evocative trunks, along with giant bamboo, palms and bromeliads along with other unusual species. 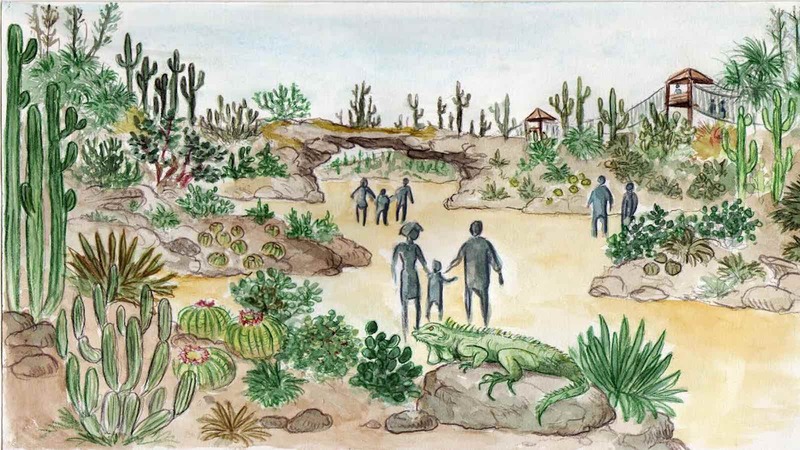 The intent of the landscape architect responsible for designing the Crocoparc garden was to create a place where the visitor can encapsulate the bounty of nature and be overwhelmed by its vibration which will resonate within. 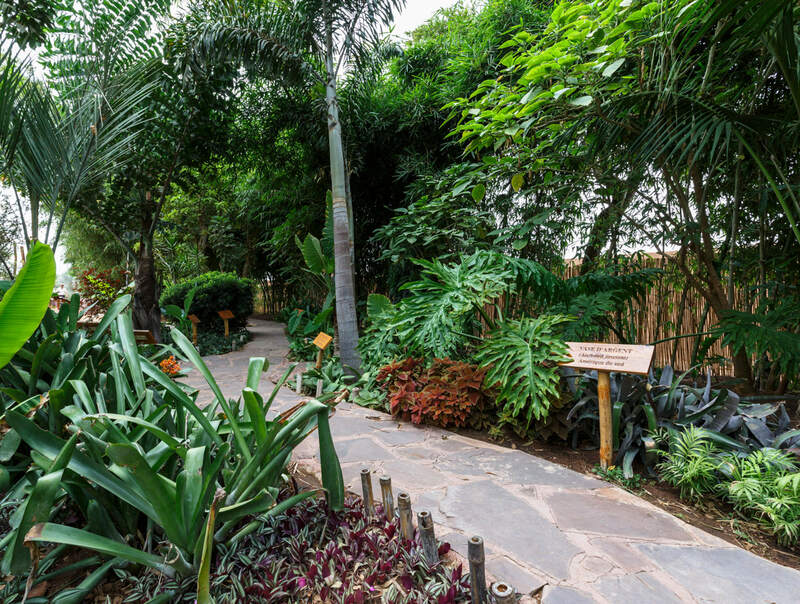 The plant spaces within the Park allow the visitor to feel all the energy and strength that nature is able to generate, along with its magical power that induces inner calm. 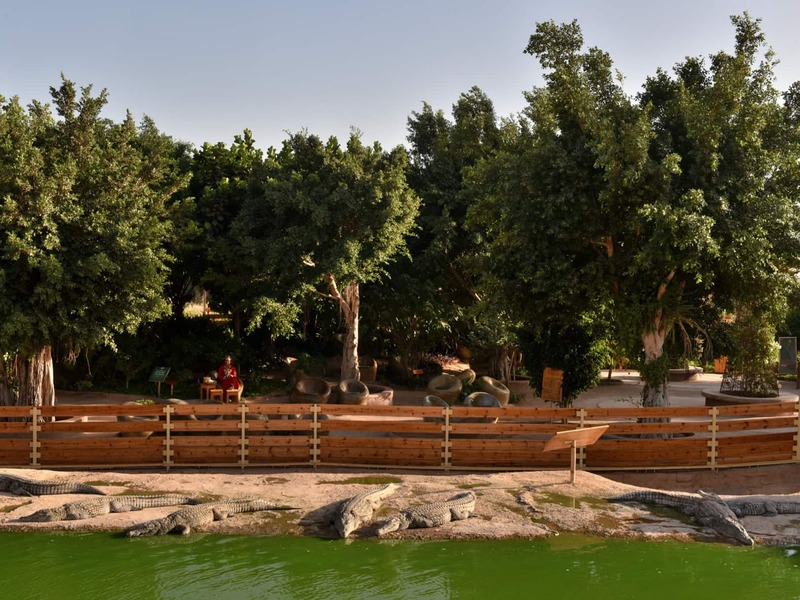 This place is dedicated, just for a moment, to allow visitors to disconnect from reality and reconnect with nature in order to achieve a certain serenity. A large diversity of flora has been incorporated in order to prioritise an aesthetic harmony of interests. The goal was not to recreate a natural habitat, but to play with the various contrasts of foliage, colors and textures of the plants. 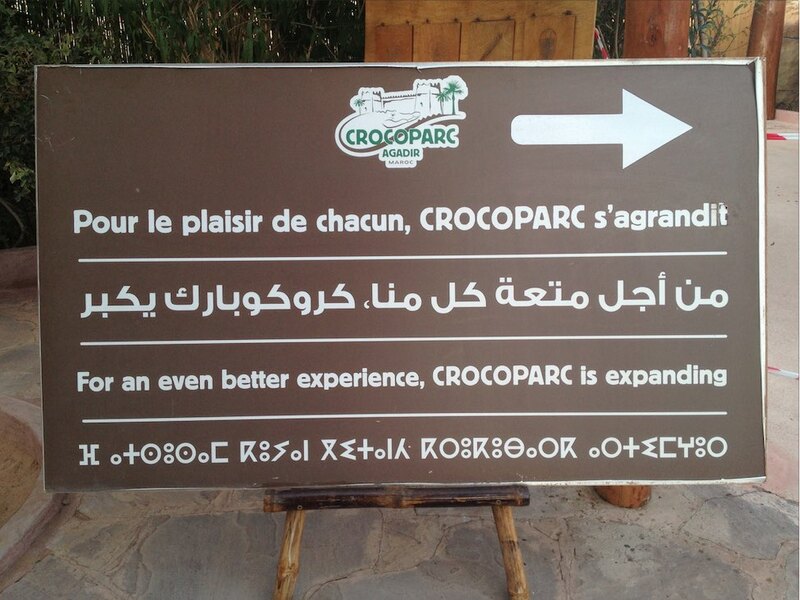 At CROCOPARC, water is music; a beautiful partition between the murmur of small waterfalls and the roar of the cascade, accompanied by the singing of birds.